There is a less glamorous side to even the most exclusive bespoke site hoardings and it is the wooden construction site fencing which supports it. A solid foundation however, is the key to a truly premium finish and makes the printed hoarding panels look even better once installed. 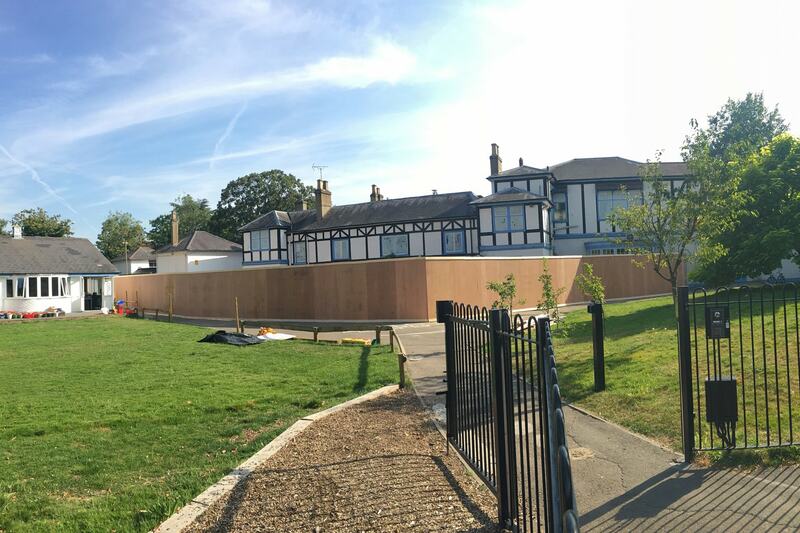 As with all aspects of our business, Lavastar believe in offering a complete service which is why we are always happy to quote for the installation of a wooden Site Hoarding too. We are experts in our field and we offer free site surveys plus a whole host of optional extras such as painting, installation of gates and installation of lights if required. With every site hoarding we install, Lavastar will come out and conduct a comprehensive site survey. This allows us to check the ground for services, take accurate meterages and assess the best fixing method for the hoarding’s supports. Our site surveys are carried out absolutely free of charge as they are essential for us to be able to offer an accurate quotation. If you require wind loading diagrams however, these start from £500 but this is a service which we strongly recommend you request as there can be no price put on people’s safety. An in-ground construction site hoarding is where the hoarding’s upright supports are dug and cemented into the ground. A wooden framework is then built off these supports and cladded in plywood sheets. This type of construction site fencing is ideal for more rural areas where the ground is free of services as it is more cost effective than an on-ground site hoarding. 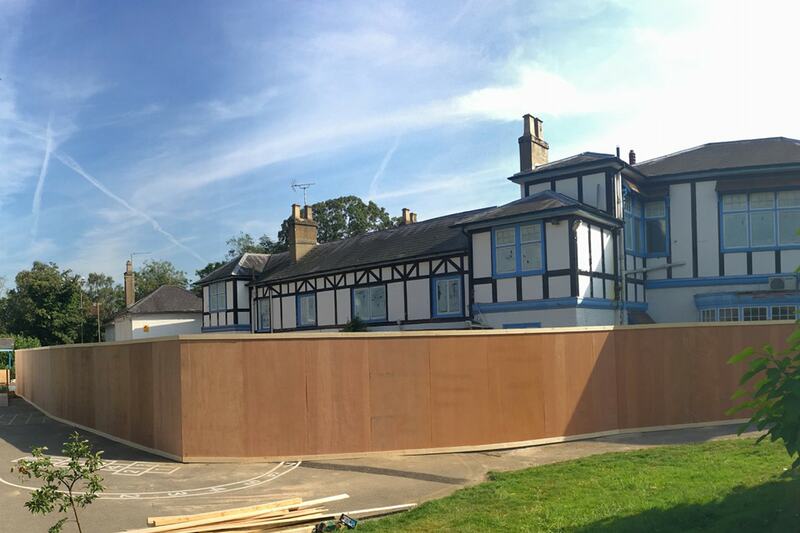 All of our construction site hoardings are built using high quality wood which is sure to withstand any poor weather conditions. However, we do recommend painting a hoarding which will not eventually be clad in printed hoarding panels to further protect the wood from the elements. Supply and install of on ground site hoardings for areas where the ground can’t be dug. An on-ground construction site hoarding is where the hoarding’s upright supports are secured to weighted concrete blocks which are positioned every 2.4 meters around the hoarding’s perimeter. These counter weight blocks are installed using a Hiab truck and do not interfere with the ground in any way. 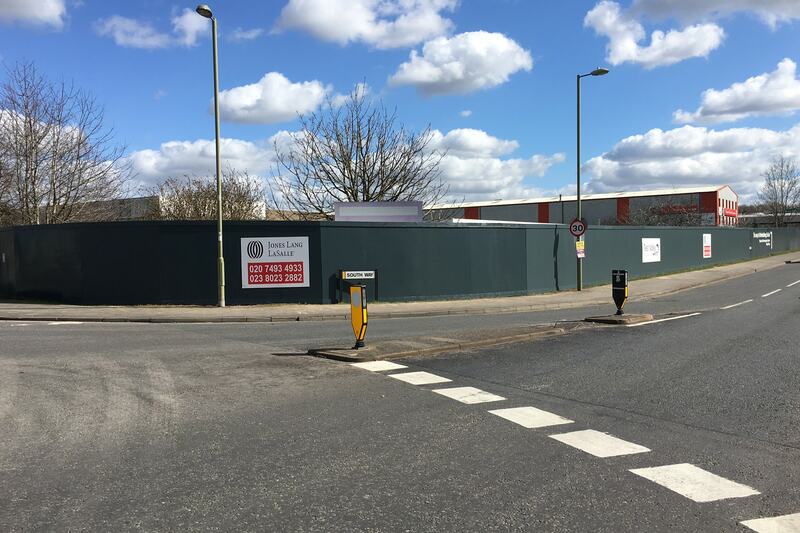 on-ground site hoardings are more suitable for use in city centres and other urban areas where services run everywhere and the ground cannot simply be dug up. Survey - Lavastar offer free site surveys with every construction site hoarding we install. This allows us to take measurements, check for services, decide on the appropriate fixing method and offer the most accurate quote possible. Install - Lavastar install all of our own site hoardings. Whether this is an on-ground or an In-ground hoarding, our skilled and CSCS certified teams can work day or night to get the job done to an industry leading standard. Wind loadings - Although not essential, we highly recommend you opt for our wind loading safety diagrams. Starting from £500 they give peace of mind and adhere to the strictest health and safety and insurance requirements. Painting - Lavastar would always recommend painting a construction site hoarding which is not going to be clad in aluminium composite panels. This is because the paint helps to seal the wood from the elements and preserve it for longer. Iron gates - Lavastar can supply and install iron mesh gates creating easy vehicle or pedestrian access into your site. Site hoarding gates are installed at the same time as the wooden construction site fencing. Lighting - Some form of lighting is often a health and safety requirement for construction sites with hoardings in place. Our fully qualified electricians can make quick work of this using energy saving LED bulkhead lights. Temporary site fencing are commonplace when a construction site is at the very beginning or end of its development. 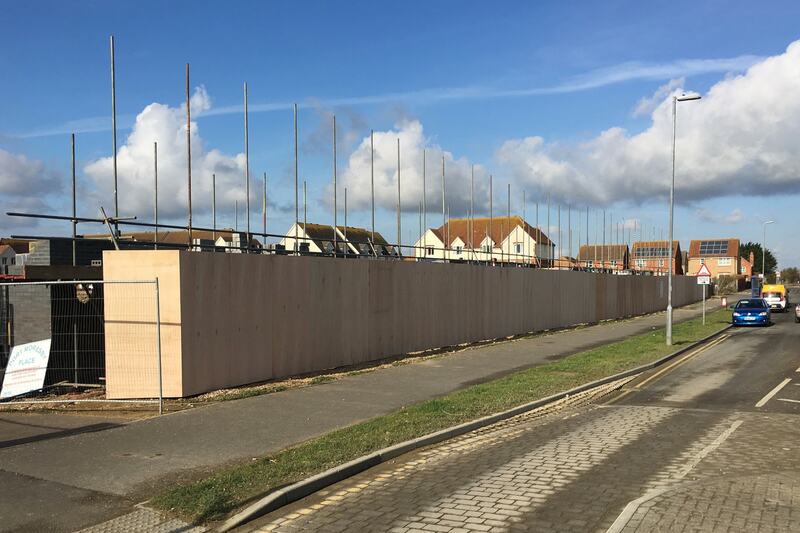 A temporary site hoarding is a cost-effective solution which sits on the ground and offers moderate site security whilst remaining mobile if necessary. Heras fencing is another alternative which may be more suitable to screen off an area temporarily. Lavastar can brand these fencing panels up with mesh printed banners to ensure your site is still getting the relevant message out to passers by. Consistently good service through out any process i have instructed them on. They have a great working ethos and have a good problem solving attitude. We found Lavastar proactive and ambitious in meeting our tight deadlines and would be more than happy to use them on future projects. Lavastar are currently the only UK based company who will carry out the survey, planning, erection of timber hoarding, design, print and installation of graphic hoardings in house. We offer this because not only will it make your life easy but project timescales with be massively reduced.